Beverly Lewis passed away Friday at the age of 90 after a lengthy illness. To everyone in the sport, her passing is a sad occasion as, along with her late husband, Bob, she was a part of one of the top racing stables of an era. The Lewises were all about class. They raced the very best horses and were as gracious and as enthusiastic as any owners who ever played this game. But the reputation that the Lewis stable enjoyed was, really, all about Bob, who passed away in 2006. He was the gregarious one, the one who did all the talking. At least publicly, Beverly rarely said a word, and her willingness to blend into the background made her somewhat of a mystery. Both were born in an era where many still believed that the man was in charge and that the wife was just along for the ride. Because of the way she came across and comported herself, Beverly Lewis sometimes gave you the impression that she was nothing more than a silent partner who had little say in how the stable was run and may not even have been that enthusiastic about the sport. The TDN spoke Monday with the two trainers, Bob Baffert and Wayne Lukas, who were most closely associated with the Lewises’ success and both said few knew the real Beverly Lewis. They described her as someone who was very passionate about the sport, was very much involved in the day-to-day operation of the stable and, when it came to business decisions, wasn’t a stand-by-your-man kind of woman. And she knew how and when to put her foot down. Lukas said that there came a time when Bob Lewis had decided to sell Serena’s Song, who, while a good broodmare, was not a superb one. Craig Bandoroff, who served as an advisor to the Lewises, was also involved in the Serena’s Song decision. He flew to California to try to talk Bob Lewis out of selling her, but never had to give his pitch. Baffert trained Silver Charm, the first of two Kentucky Derby winners to carry the Lewis colors. Like Lukas, he said the Beverly Lewis he knew was on top of everything when it came to the horse business. She also had a frugal side that Bob Lewis may have lacked. It appears she kept him from overspending on a yearling many a time. One at least one occasion, however, she wasn’t there to tell her husband to stop raising his hand. While Beverly Lewis shied away from the spotlight, it was always easy to tell that she was much like her husband: a kind person who saw the best in everyone. The Lewis stable campaigned four Classic winners and raced six Eclipse Award champions. Lukas and Baffert agreed that Beverly Lewis’s favorite horse was Serena’s Song. She won 11 Grade I stakes, including a vicotry over males in the GI Haskell, and is in the Hall of Fame. When Bob Lewis died in 2006, the stable went in another direction. 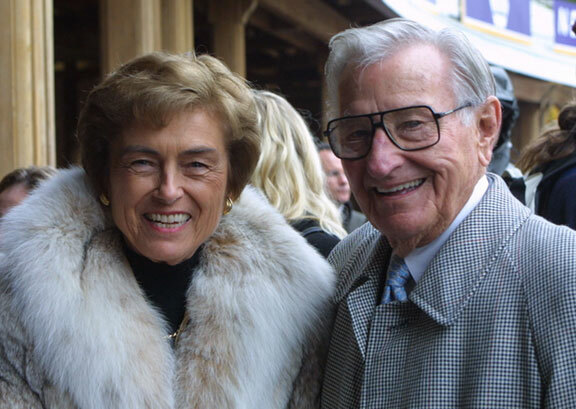 Bandoroff believes that Beverly Lewis knew she could never match her husband’s drive and was reluctant to fully take over or spend the type of money she knew it would take to keep churning out Grade I winners. She brought in her son, Jeff, and the two of them would make the decisions going forward. 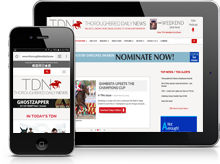 The racing part of the stable was de-emphasized and more attention was paid toward breeding. So Beverly and Jeff Lewis decided to downsize the stable, but one thing was off limits. Not only would Serena’s Song never be sold, but neither would any of her daughters. It was very important to the family to keep her legacy in tact. Though she has been pensioned as a broodmare, there are daughters and granddaughters of Serena’s Song still owned by the Lewises and they represent the cornerstone of what’s left of their operation. Jeff Lewis said his family still owns 12 horses, four broodmares, four racehorses and four yearlings or weanlings. All, in some way, are connected to Serena’s Song.